If you’re developing a game and you’re having trouble in getting your character unstuck from an object, there’s a tutorial about ThreeJS Collision Detection. 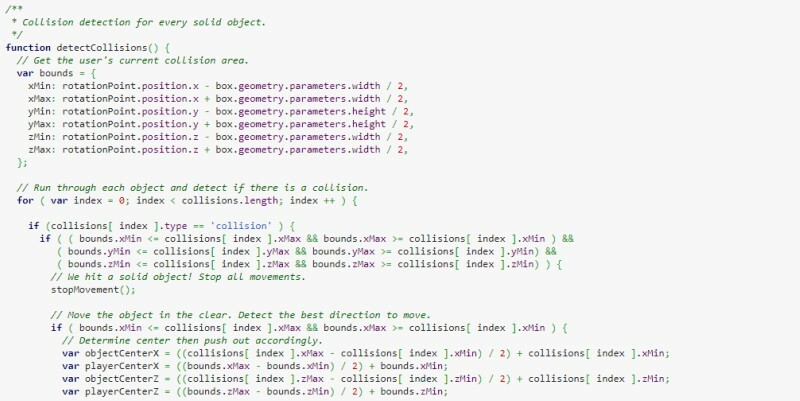 According to developer Bryan Jones, collisions must be checked whenever you execute a render function. Then, create an array that holds the parameters of your objects. ThreeJS has a function called Box3 that automatically computes the parameters. The tutorial has a Codepen demo where you can test out the included functions. Check out the rest of the guide here.